This glistening Sterling Silver Swarovski Crystal jewellery set is simply stunning. It pairs beautifully with ocassion and eveningwear – perfect for Christmas parties and also makes a great gift! Featuring gorgeous vitrail light Swarovski elements crystal that shimmer beautifully when they catch the light, the set comprises of a pendant measuring approximately 18″ and a pair of earrings. This glistening Sterling Silver Swarovski Crystal jewellery set is simply stunning. It pairs beautifully with ocassion and eveningwear – perfect for Christmas parties and also makes a great gift! 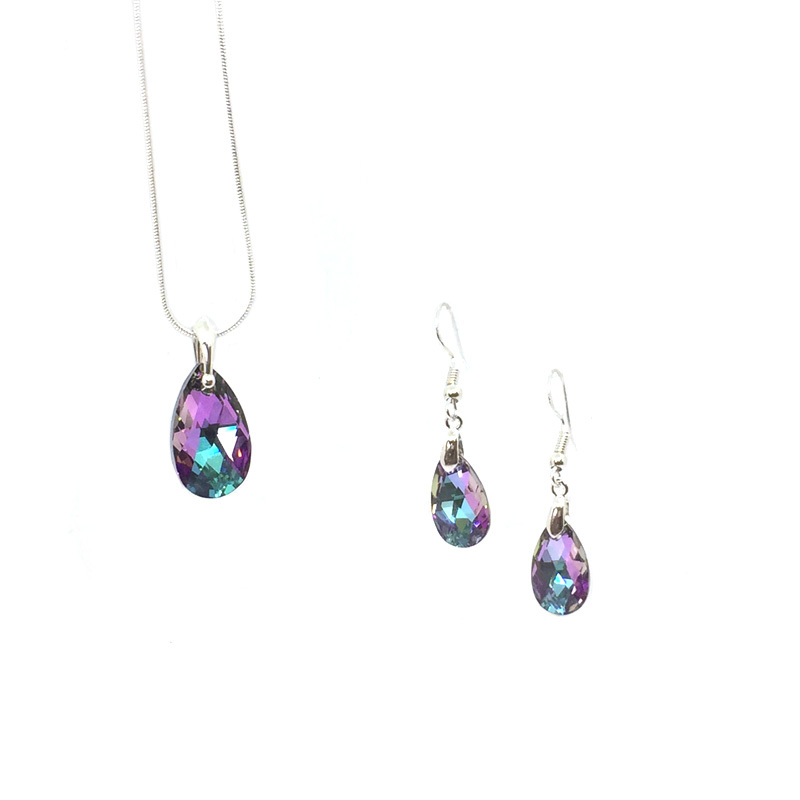 Featuring gorgeous vitrail light Swarovski elements crystal that shimmer beautifully when they catch the light, the set comprises of a pendant measuring approximately 18″ and a pair of earrings. The pendant and earrings are both finished off with quality sterling silver. Our Sterling Silver Swarovski elements crystal collection features stunning pendants with matching earrings that come in two different sizes and five exquisite colours. A gorgeous gift for her!